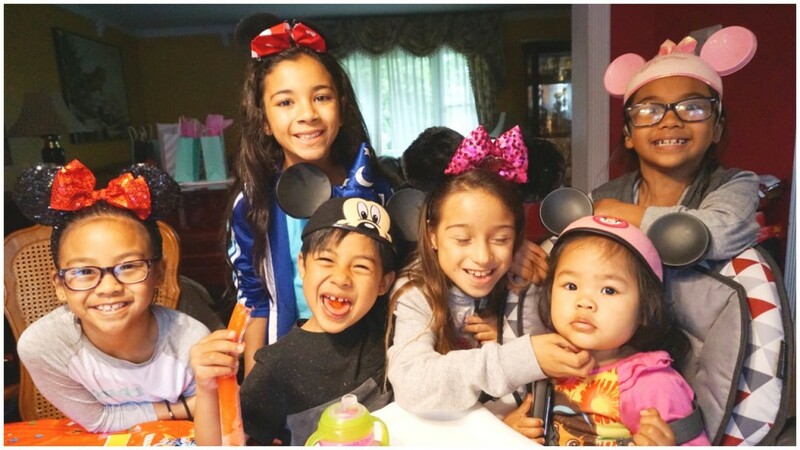 *I received a kit of products from Disney to host a #Disneykids preschool playdate in exchange for this post. All opinions are my own and this post is sponsored by Disney Parks. With 4 kids, it can be difficult to coordinate individual playdates for them. So I find that it works out best when I’m able to have one big playdate with their mutual friends at home. During the Spring and Summer this works out perfectly since we are able to play outdoors, water fun, picnics, bbqs, riding bikes and going to parks. While these activities keep my kids happy and entertained with their friends, what do you do when for a rainy day playdate? Luckily for us, Disney came to the rescue. A few weeks earlier we received an adorable Sofia the First themed American Tourister luggage filled with Disney goodies perfect for a magical playdate. 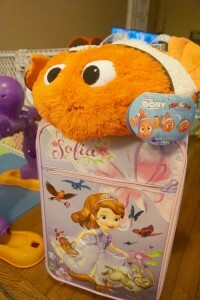 The luggage also came with the most adorable Finding Dory Nemo Pillow Pet, both perfect for my youngest one year old daughter Colby. Since I knew that it was going to be raining the entire day of our playdate, I already planned for the kids to take part in setting up for the days activities. 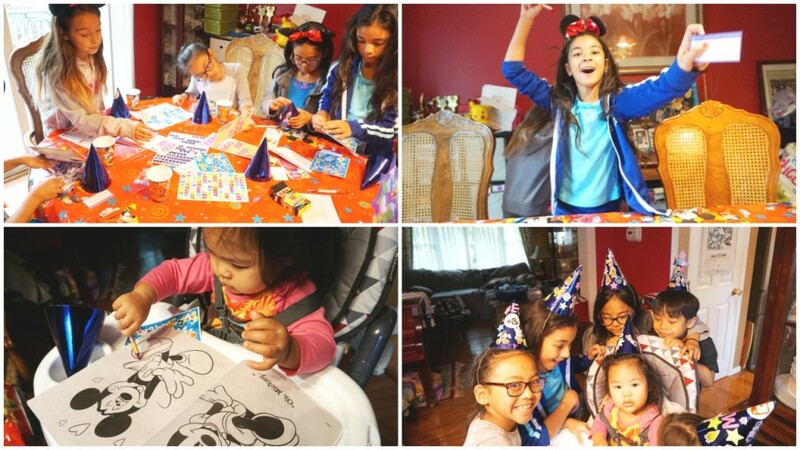 We decorated with our Mickey decorations, set up utensils, laid out our HP snapshot kits for the goodie bags and I had the kids cut out pieces to the many games we planned on playing. First things first, the food! 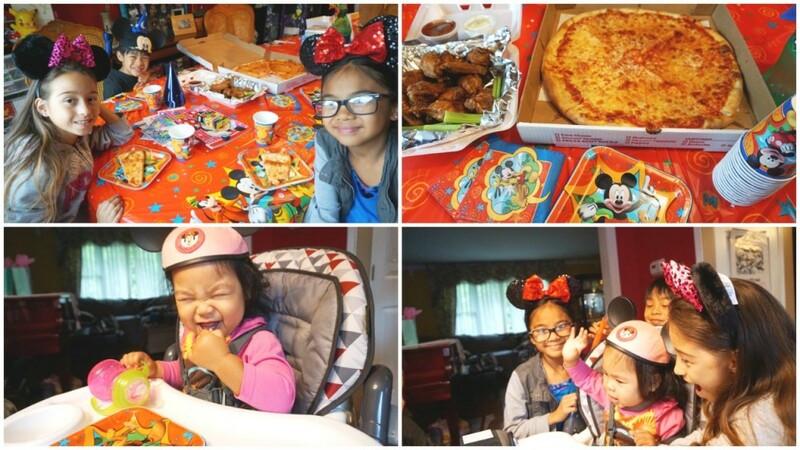 We kept it easy, simple and yummy…ordered some Pizza and chicken wings and made sure to have the kids wash up using Softsoap hand wash plus lotion (courtesy of Disney) which has a great new formula that locks in moisture for clean and soft hands. As you can see from the pics, eating was a fun activity in itself…selfies and all! 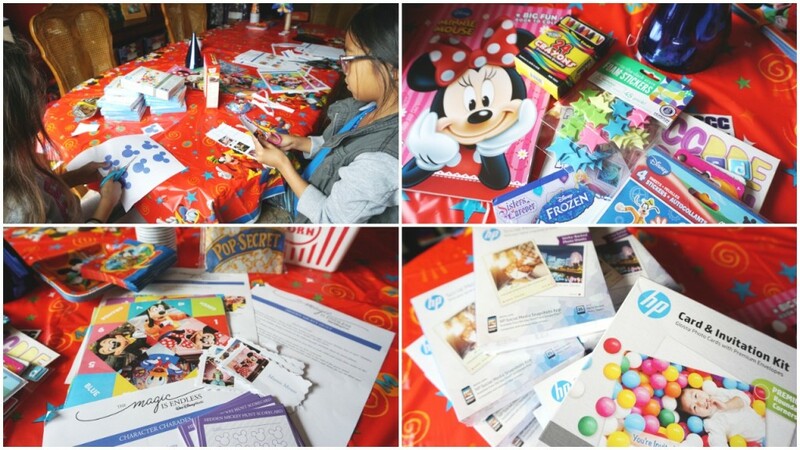 In our playdate kit, one of the activities was the hidden Mickey game. Each kid got a card to mark off when they found the 8 hidden Mickeys in the room. I caught an awesome pic of their friend Leilani, as she announced she found all 8. But of course I told all the kids they would all win a prize from a stash of prizes I tend to save for rainy days. A win win for sure! Next on the agenda, was party hat decorating while Colby colored in her Mickey coloring book. The kids enjoyed getting creative with their hats and of course more picture taking with Colby! We then made Disney themed fortune tellers and played a hilarious game of Disney charades. 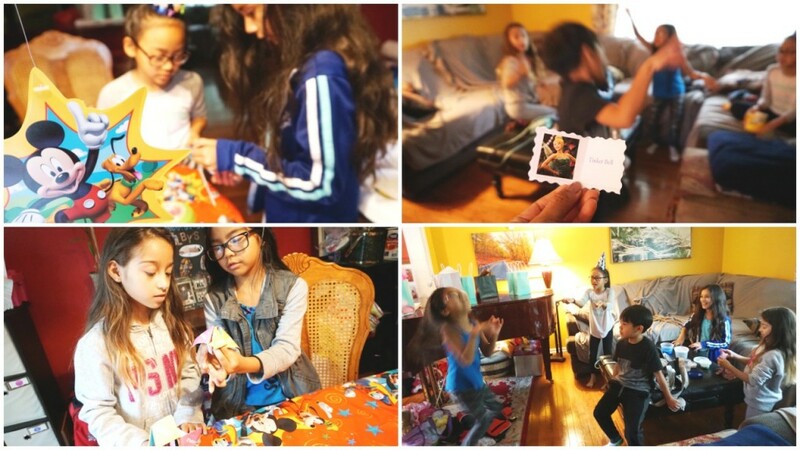 You will have to watch our upcoming vlog to see the silliness of these kids. They were really good at acting out Disney characters without saying one word. No playdate is complete for my kids unless we film a video for their You Tube channel. 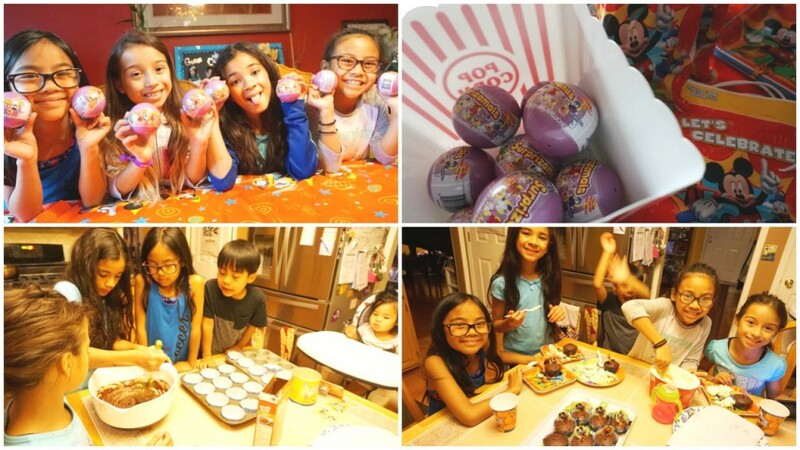 We had a popcorn tub filled with Surprizeamals that we unboxed on camera before we moved onto cupcake baking. Well we totally improvised and made brownie cupcakes since we ran out of icing for our regular cupcake mix. The kids didn’t mind it at all and actually decided to add ice cream to their warm brownie cupcakes for the ultimate dessert. While we didn’t have time to watch a movie to enjoy our Pop Secret popcorn, the kids were thrilled with the goodies they got to take home but more so the time they had with each other. The rain was a blessing and gave us a great opportunity to try so many fun indoor activities that didn’t include the use of any electronics, other than a camera for me to document. After such a successful day, we now welcome all future rainy day playdates and will always be prepared with fun Disney activities!